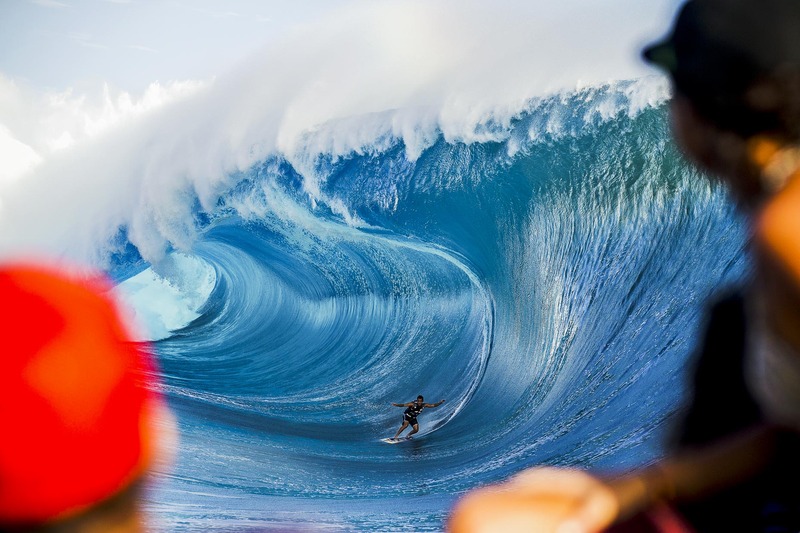 Koa Rothman on an absolute bomb. It was probably the wave of the day. The boat wars one these big days are crazy. You can get blocked by another boat and miss the whole wave. We were lined up perfectly with this wave and another boast came up the wave face and I managed to get this shot with the people in the other boat in the forground and immediately after this the view was gone. I'm just glad I got this one.